Senate Judiciary Committee Chairman Chuck Grassley has referred attorney Michael Avenatti and his client, Julie Swetnick, to the Justice Department and FBI for investigation into their claims about Supreme Court Justice Brett Kavanaugh. “I am writing to refer Mr. Michael Avenatti and Ms. Julie Swetnick for investigation,” Grassley, an Iowa Republican, wrote in a letter to Attorney General Jeff Sessions and FBI Director Christopher Wray. Avenatti, a potential Democratic presidential candidate in 2020, came forward as the attorney for Swetnick just days before Kavanaugh testified before the Senate Judiciary panel about allegations from Christine Blasey Ford, a California psychologist who claimed that Kavanaugh attempted to sexually assault her when they were in high school in 1982. In a written declaration released by Avenatti on Sept. 26, Swetnick claimed that in the early 1980s, when Kavanaugh was in high school, she witnessed him drugging alcoholic beverages at house parties in order to take advantage of girls. Swetnick, who is more than two years older than Kavanaugh, also claimed that she saw Kavanaugh at parties where girls were gang raped. 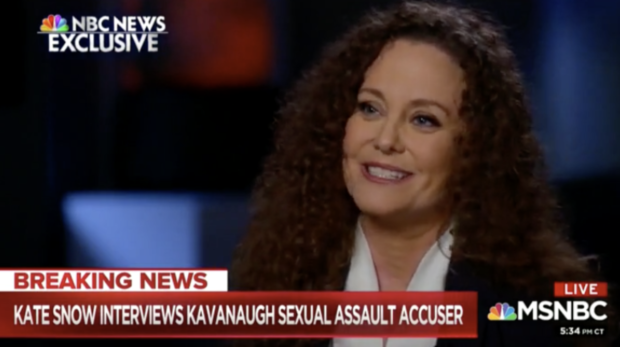 Swetnick herself claimed that she was gang raped at one party, though she has said she does not know if Kavanaugh was aware of the attack. Avenatti and Swetnick claimed that witnesses would corroborate her allegations, but none of come forward so far. Kavanaugh, who was confirmed to the Supreme Court on Oct. 6, vehemently denied the allegations from Ford, Swetnick, and a third woman, Deborah Ramirez, who accused him of sexual misconduct while in college at Yale. An ex-boyfriend also filed a restraining order against Swetnick in 2001 after she allegedly threatened to harm the man and his family. “The obvious, subsequent contradictions along with the suspicious timing of the allegations necessitate a criminal investigation by the Justice Department,” Grassley’s office said in a press release announcing the referral. Grassley’s office says that the referral “methodically details the issues” with Swetnick’s allegations about Kavanaugh. Grassley also claims that the allegations diverted committee resources from other investigations. Grassley has referred at least one other person to the FBI and DOJ for investigation. On Sept. 29, he referred a Rhode Island man who admitted to fabricating a story that Kavanaugh and his friend, Mark Judge, raped a woman on a boat in the 1980s. The man sent the allegation to Democratic Rhode Island Sen. Sheldon Whitehouse but recanted the story on Twitter.